Find a bird that needs or may need help? Or find a banded bird? Looking for birding skills resources, places to bird or other information? We hope you find the resource list below helpful. If you need help or more information please feel free to contact us. 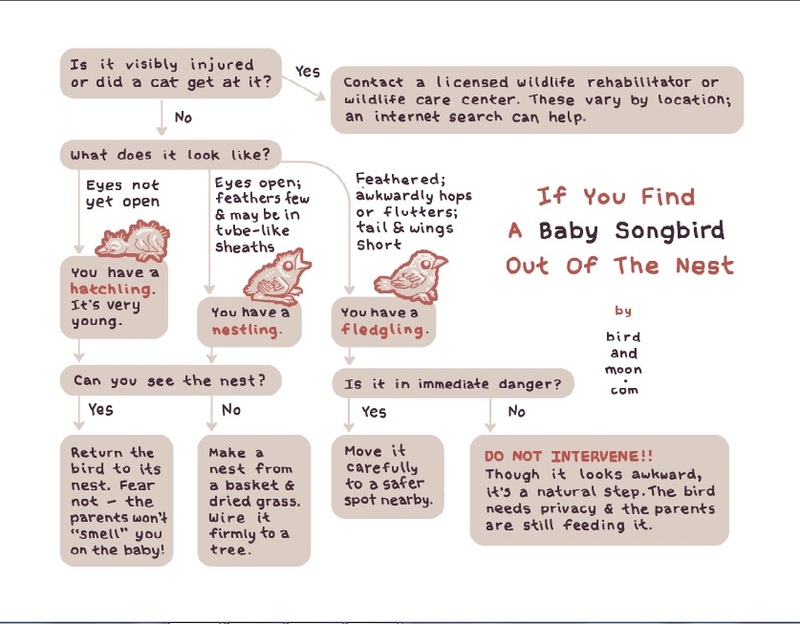 Follow this handy flow chart from www.birdandmoon.com, helpful in determining if a rescue is needed. Also available in a PDF format download. 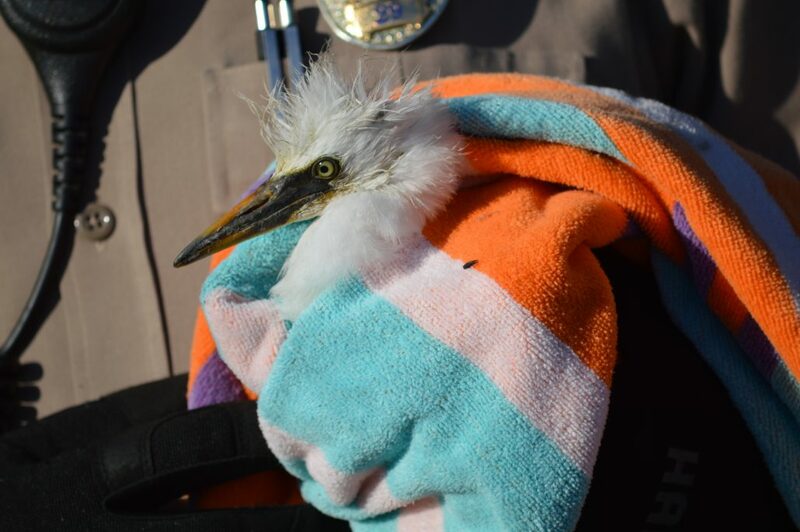 Please see International Bird Rescue’s web page to report a banded bird, and also IRB’s main bird banding program page for additional information and reporting links. Check out The Cornell Lab of Ornithology’s Bird Academy page for some very good free videos and other self study resources and information. Audubon Adventures, downloadable educational books, materials, interactive puzzles and more, developed for children in grades 3 thru 5. 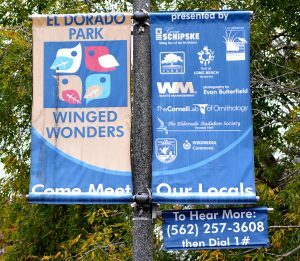 Pre-recorded self guided educational tour at El Dorado Park Duck Pond, located next to the golf course on the 2400 block of Studebaker Rd. in Long Beach. From your phone dial (562) 257-3608, listen to the recording and press 1# to begin the audio tour. At the pond you will find 22 banners on the light posts along the driveway and walkways, each with a picture of bird species commonly found at the pond. Press the number printed on each picture banner followed by # to hear fun facts about the bird shown. If you are looking for bird/wildlife help or other information for areas just outside El Dorado Audubon’s territory, shown on our About page, please see our neighboring chapter websites listed below.